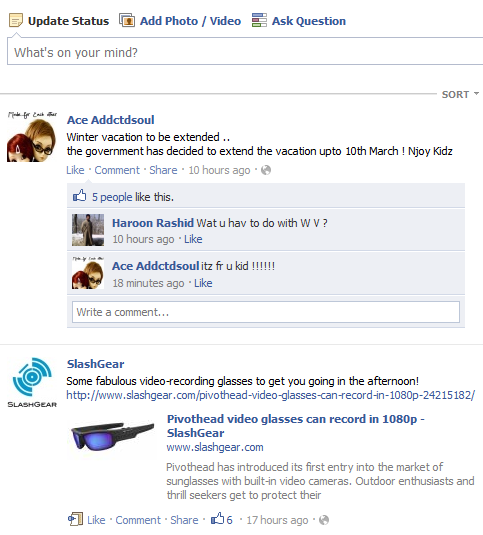 How To Stop Or Ignore A Friends Update On Your Profile Page? 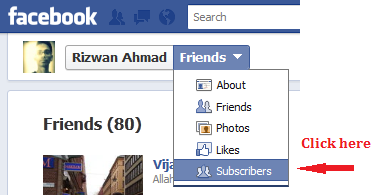 Home More Social How To Stop Or Ignore A Friends Update On Your Profile Page? One day i was using my Facebook account and then i saw some updates on my profile page from any of my friend but i found that update unnecessary showing on my profile page then i deleted it from my profile because i don’t wanted to have any unnecessary updates on my profile page. Because i only wanted to see the useful updates on my profile page without loosing my friends. Then i started searching for how to block or stop showing a friend update on my profile then i got a way that was very easy and now i blocked all unnecessary updates on my profile page and now i get only useful updates on my profile page. Without loosing my friends. 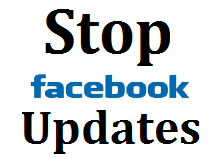 And if you also want to stop and don’t want to see unnecessary updates on your profile page from any one then you just have to follow some very simple steps. listed below. 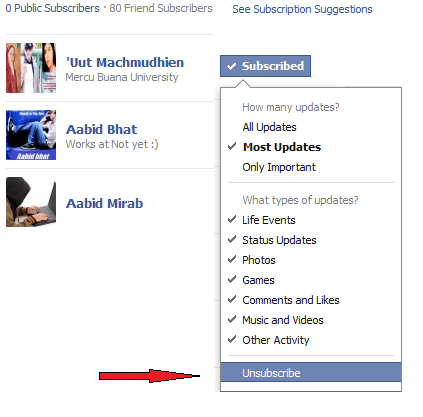 Now you will not receive any updates from that friend, but that friend will still remain as your friend. 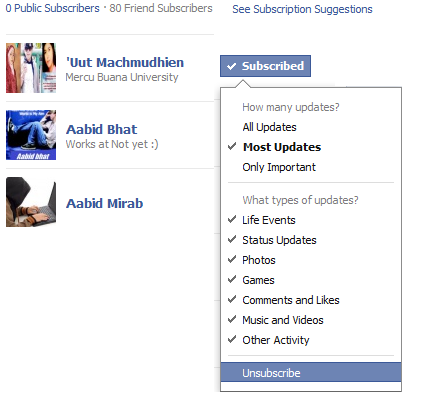 It is all up to you that, from which friend you don’t want updates so you can unsubscribe them.